I have had a long interest in the brothers George and Norman Munro of Nova Scotia. Oddly except for a few mentions in histories of Canadian Literature they are barely acknowledged in the country of their birth. The cause of this neglect may be that in the minds of millions they would forever be associated with the publishing of cheap literature for the masses. The Munros and other Canadian publishers disrupted the American book trade by publishing mass editions of English fiction at 5, 10, and 20 cents in paper covers. This cheap competition caused American publishers to compete with 10 cent libraries. George is the brother with the better reputation, he was a staunch liberal Presbyterian, Dalhousie College in Halifax, N.S., New York University, and various churches benefited greatly from his largesses. Norman, on the other hand, seems to have been a bit of a scamp. George Munro was born at West River, Nova Scotia, on November 12, 1825. He became a mathematics instructor at the Free Church College in Halifax . At the age of twelve he entered the office of the Observer in Pictou, to learn the printing business. He attended Pictou Academy for three years. He was head master of the Free Church Academy of Halifax, where he taught mathematics and completed a theology course in preparation for the ministry. George moved to New York in 1856 and was employed by the American News Company at a small salary. In 1863 Irwin Beadle, who had co-founded the Beadle Publishing House with his brother Erastus, broke with his brother and established a rival publishing house with George Munro under the old firm name of Irwin P. Beadle & Co. Their first series was Irwin P. Beadle's Ten Cent Novels for five numbers, with No. 6 the title was changed to Munro's Ten Cent Novels. 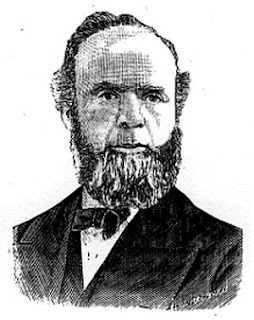 The firm of Irwin P. Beadle and Co. became George Munro in 1864. In 1867, he began the publication of the Seaside Library and the Fireside Companion (1867-1903) providing cheap reading for the masses. The first cheap numbers printed were East Lynne, John Halifax and Jane Eyre. In 1872 Old Sleuth first appeared in the New York Fireside Companion in a serial Old Sleuth the Detective; or, the Bay Ridge Mystery. Old Sleuth was the first mass-marketed, popular fiction detective to appear. In a few years he was joined by Old Cap Collier, and Old King Brady. At his death on April 24, 1896 at age 78 of heart failure his sons took over the publishing business. One of the most popular of the cheap periodicals published by George Munro featured Harlan P. Halsey’s Old Sleuth. The first Old Sleuth story published by George was titled "Old Sleuth The Detective; or, The Bay Ridge Mystery," by (supposedly) comedian Tony Pastor. Lawsuits were eventually to fly over the use of the name 'Sleuth' involving George, the Beadles, and Norman the usurper. Norman tried out numerous detectives with variations on Old, Young, Sleuth, and Badger. One story announced by Norman L. Munro was "Sleuth, Badger, and Co., the Bay Ridge, Wall Street, and Custom House Detectives; or, "Piping a Mysterious Crime." Bay Ridge was of course the property of George and eventually recourse to the law led to the Old Pink, Old San, and Old Cap Collier (who were really old compared to Sleuth.) Halsey, an esteemed member of the Brooklyn Board of Education and organizer of trust companies, adapted the nom de plume “Old Sleuth” and wrote over 600 detective stories. It was said that he earned a salary of $20,000 a year for his serials for George Munro. 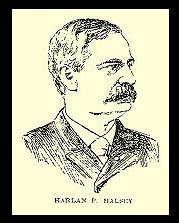 Harlan P. Halsey was born in New York in 1835. He was employed by Frank Leslie in his early days and at age 16 wrote a 300 page novel which he self-published. Some of his early stories and poems were published in the Brooklyn Eagle. In addition to the blood and thunder tales he also wrote several historical novels. His last book was Only a Photograph. Later he took to dictating to a stenographer from his berth on the sofa. Ideas often came from the crime columns of the daily newspapers. The Bay Ridge Mystery was based on the Charley Ross abduction. He died in his home at 111 McDonough street of cerebral hemorrhages on December 16, 1898. “Old Sleuth’s” estate was estimated at $500,000. Not bad for a man whose “stories were not at all bad in their way and should not be associated with the usual Wild West Indian tales.” He was survived by his wife, (they had been married by the Reverend Henry Ward Beecher) a daughter, Belle, and two sons, Louis and Harry, who were involved with him in the publishing business. George Munro’s younger brother Norman Munro was born at Mill Brook, Pictou County, Nova Scotia on April 8, 1844. He had an ordinary schoolhouse education and was put to work on his fathers farm as a plough-boy. When he turned 25, in 1866, he moved to New York where he worked at various small publishing companies. and engaged in publishing business under the name of the Munro Publishing Co. Norman founded a publishing house to rival that of his brother. A former Beadle employee, Norman Munro was interested in detective stories and achieved great success with the publication of Old Cap Collier Library, a series featuring the adventures of an ingenious, aging sleuth. Norman Munro's New York Family Story Paper began on “Black Friday,” September 1873, and ran until 1921. Norman Munro began Boys of New York in 1875, taking from his brother editor George Small, and starting a bitter feud between the brothers. 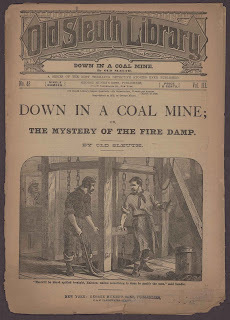 A fire in February1876 destroyed Norman’s plant and he sold Boys of New York and Our Boys to Frank Tousey, who merged the titles with the New York Boys' Weekly. Norman L. Munro published it from its beginnings on August 23, 1875 to July 13, 1878, Volume III No. 152. Tousey and Small took over with No. 153, July 20, 1878 and carried it through to 1894, although Small’s name eventually disappeared from the masthead. When Tousey’s Boys Weekly was incorporated in the Boys of New York, Boys Weekly serials were continued from No. 153 on. 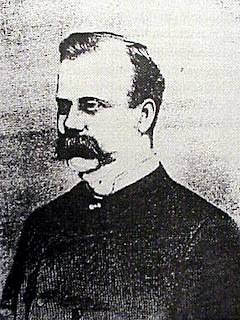 Many of the contributors, Paul Braddon, Corporal Morgan Rattler, E. H. Kellogg, and Police Captain Howard also worked on the short-lived Boys Champion (1881-1883) which also seemed to have something to do with Tousey. In 1888 Norman L. Munro published Golden Hours which introduced Young Tom Edison. The Houses of Munro and Beadle enjoyed great commercial success until the early 1900s when the popularity of dime novels declined, replaced by the cheaper “nickel libraries. The New York Family Story Paper made Norman a millionaire. He spent loads of his money on his passion, steam yachting. His yachts included The Norman, the Henrietta (named for his wife), Now-then, Say When, So So, Our Mary, the Jersey Lily, Vamoose, and the Norwood, the swiftest craft afloat at 32 miles an hour. *Many thanks to Joe Rainone for the portraits. I've come across your blog and especially your post on Norman Munro from an article about H. Irving Hancock which said he was Mr. Munro's main writer for his Golden Hours paper. I just wondered if you knew anything about that. Thank you. I'm not sure if he was the "main" writer for Golden Hours, but it is true that he wrote for that paper under the name "Douglas Wells," according to J.Randolph Cox. Other than that I can't add anything about Golden Hours -- not too familiar with the story paper.